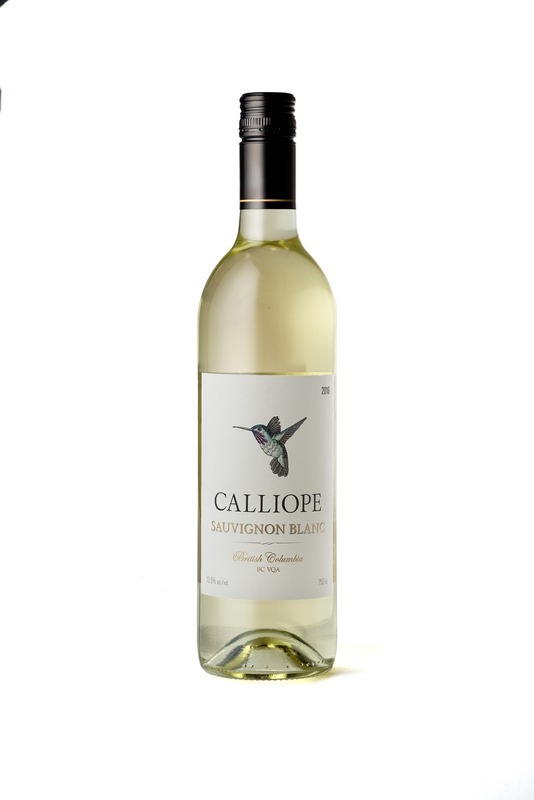 The 2016 Calliope Sauvignon Blanc checks all the boxes of the most enjoyable of BC wines. Intense passion fruit, peach, grapefruit, elderflower and lime combine playfully on the nose with verdant and mineral undertones. The palate is dry and crisp, bursting with candied lemon, gooseberry, passion fruit and lime zest with a long clean finish. Juicy and refreshing, a long day of work is quickly forgotten and you are instantly ready for a watermelon salad with feta, crunchy spanakopitas or Vietnamese salad rolls in hoisin sauce. The grapes for the2016 vintage were harvested manually between September 10th and 22th from Keremeos mostly and Osoyoos. The clusters were hand sorted and dropped into a pneumatic press for a gentle extraction. The juice was drained by gravity flow into tanks where it settled for 24 hours to prepare for fermentation. Alcoholic fermentation lasted 21 days under a controlled temperatures ranging from 13 to 16 Celsius. At completion, the wine was allowed to mellow for 5 months in stainless steel tanks. There was no malolactic conversion. Prior to bottling, the wine filtered, finned and stabilized.